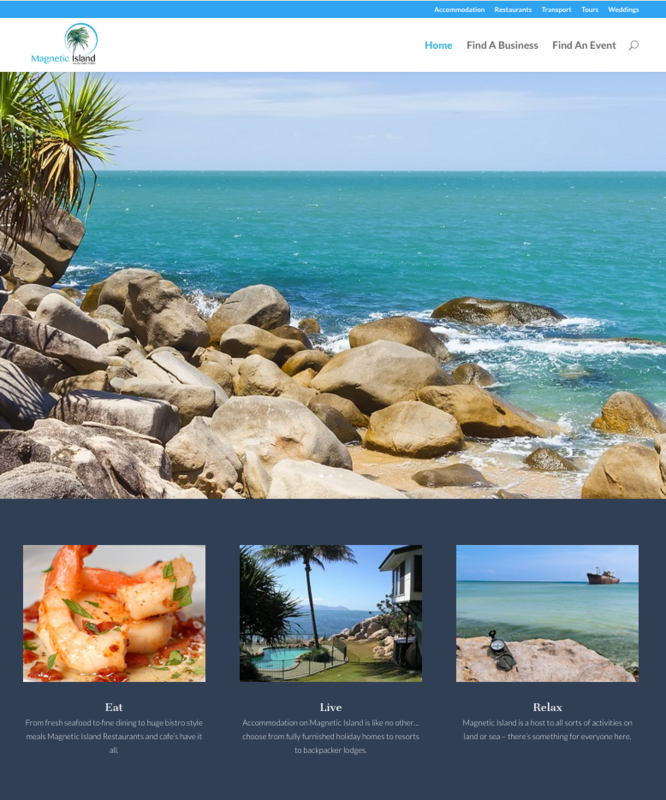 Magnetic Island have created a brand new website, making it the latest work from WMA! Here’s what you can find at one of Australia’s best holiday destinations! Magnetic Island is one of Queensland and Australia’s best holiday spots for families, couples or wedding parties and groups. But it’s not just holidays, properties are available to rent and buy. With plenty of gorgeous sights to see, local food to try, and luxurious accommodation, Magnetic Island has something for everyone and every budget. From classic bistro-style dining to fresh seafood, the range of choice Magnetic Island has to offer is huge! Even the kids will enjoy what Magnetic Island has to offer. Local restaurants like the Beach Bar and Grill, Horseshoe Bay Fish and Chips, and Sandi’s on Magnetic Island offer their finest dishes made with fresh, local produce. Backpackers are sure to have a comfortable stay at the Bungalow Bay Koala Village and families, couples or groups will enjoy their stay at the Magnetic Island Country Golf Club or Geoff’s Place Resort. Explore the beaches and rock pools of Magnetic Island, relax and soak up the sun, or take a tour. There’s something for the whole family on Magnetic Island. The Stage Door Theatre Restaurant shows off the best of what Magnetic Island has to offer. Enjoy a show and a delicious meal – it’s fun for the whole family. For the adults, Barefoot Food, Art, Wine is perfect for a day trip. Showcasing beautiful Australian art and wine, it’s the ultimate activity for honeymoons or hen’s parties. The beautiful scenery and community on Magnetic Island are like no other. It’s the perfect school holiday destination for the family, or maybe it’s the perfect spot for Mum and Dad to escape to when the kids start their lives away from home. Jump onto http://www.magneticislandonline.com.au and see what Magnetic Island has to offer.